Located in a picturesque medieval village in the countryside of Lucca, rural peaceful setting with great mountain view. The house is situated in the center of the calm country of Montefegatesi, in a mountain zone, quiet, with fresh air and dipped in the green , ideal for a rural vacation in full relax and to contact with the nature. There are many hiking paths starting form here and for a complete relax experience, the thermal Spa resort of Bagni di Lucca is only 20 minutes by car. The house has a double and a twin bedroom, a large kitchen, a bathroom, a terrace and a small garden equiped with garden forniture and barbecue. I decided to rent this property because I love this place, rich in history and nature. I would like visitors of my structure could come back to taste the simple things, like silence, the bright colors of flowers, the majesty of a ridge or the wonder of a sunset. The reality of life in a small village that, maybe because of its position, has managed to preserve in this global world, the authenticity of past times. One of the best places I've ever stayed. The medieval town of Montefegatesi is something straight out of a movie. The town plaza has a little market and a lively restaurant, and the natural spring has some of the best water ever. There are allot of hiking trails around the village and some amazing picnic spots in a very old chestnut orchard within walking distance of the village. The house has amazing views from every window and stays nice and cool on the hot summer days. The house has all the amenities you'll need and an overall vintage feel on the inside with a medieval feel on the outside. So if you looking for a unique experience in a beautiful mountain top village, this is it. I definitely plan on coming back in the future. The house is in an idyllic spot in a beautiful medieval village. It is very conveniently set in the middle of the village near the local bar and shop. The locals were very friendly, particularly the bar patron and the shop owner, who both spoke perfect English.There is a beautiful view of the mountains from the house balcony where we often had breakfast in the sunshine. The area is ideal for long walks in the mountains and there are many tracks and paths off road. Bagni Di Lucca has some excellent bars and restaurants. There is a lovely outdoor swimming pool with a bar and cafe and sun lounge area. There is also an indoor pool should you require it. It is easy to get the train from here to Pisa and Lucca or drive if you have a car. The property owner was friendly, helpful and courteous. The house is quiet and peaceful and adequately appointed. We had a lovely two week break and I would definitely recommend the village and the property for those who want to get away from the hustle and bustle of everyday life. It is really amazing place, truly beautiful and quiet. Like nowhere else! Paesino meraviglioso e tranquillo, completamente immerso nel verde! Appartamento caratteristico del borgo, essenziale ma confortevole. Anche i nostri cagnolini si sono trovati benissimo! We stayed 4 days in this cozy and clean appartment with a great view from the balcony. Situated in the pittoresque village of montefegatesi in the mountains it feels like a trip to ancient times. It' s a bit far off and by car it takes about an hour to the beautiful village of Lucca, yet Bagni di Lucca is closer. If you have climbed the winding roads you are rewarded with a great view, unspoiled nature and a warm welcome from friendly owner Violetta. Thank you for taking time to share your experience in my aparment in Montefegatesi. The place is ideal if you want to discover a different Tuscan countryside, far from the classic tourist destinations but really worth a visit. So thank you especially for your description, I think you truly captured the mood of a vacation in this ancient rural village and I'm glad you enjoied your stay. Paesino caratteristico e tranquillo. Paesaggio bellissimo, molti punti di bel vedere, adatto a vacanze riposanti. Ideale anche come punto di appoggio per chi desidera viaggiare e visitare altre città artistiche o culturali della regione. From Lucca take the SS12 for Abetone until you reach Bagni di Lucca. From Bagni di Lucca follow directions for Montefegatesi. Although not essential, in order to enjoy a holiday in this area to the full, we would recommend the use of a car. Montefegatesi represents an ideal destination for those who seek an uncontaminated natural environment , a country in which to taste the rural life of Tuscan country, distant from the frenetic rhythms of every day life. 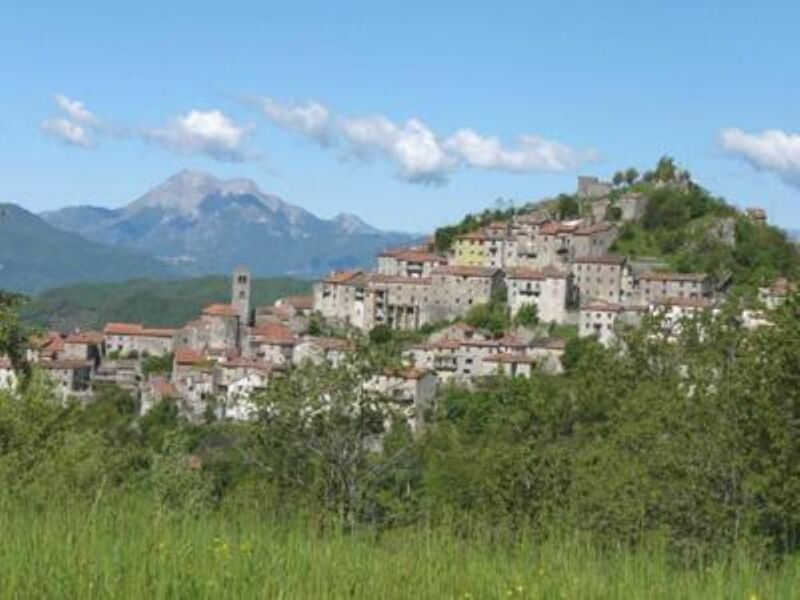 Near Montefegatesi you can find the natural Reserve of Orrido di Botri, site of special naturalistic interest. The Orrido di Botri is an imposing calcareous throat, characterized from steep walls dug in depth, high until 200 meters. It is therefore like a true stalactite canyon, a tight and packed valley , a natural scenario of rare suggestion. From Montefegatesi also depart numerous paths for other trips and walks that retrace the ancient roads of shepherds, woodcutters and pilgrims, across secular forests of chestnuts, beeches and oaks, precipices, pastures and springs of pure water. In the outskirts a lot of destinations of interest are found: the thermal station of Bagni di Lucca, (about 20 minutes by car), the ski station of Abetone and the Versilian coast (about 50 minutes)and the numerous medieval villages of Garfagnana. Finally from here are easily attainable the greater cities of Tuscany, like Lucca, Pisa, Florence, Siena.